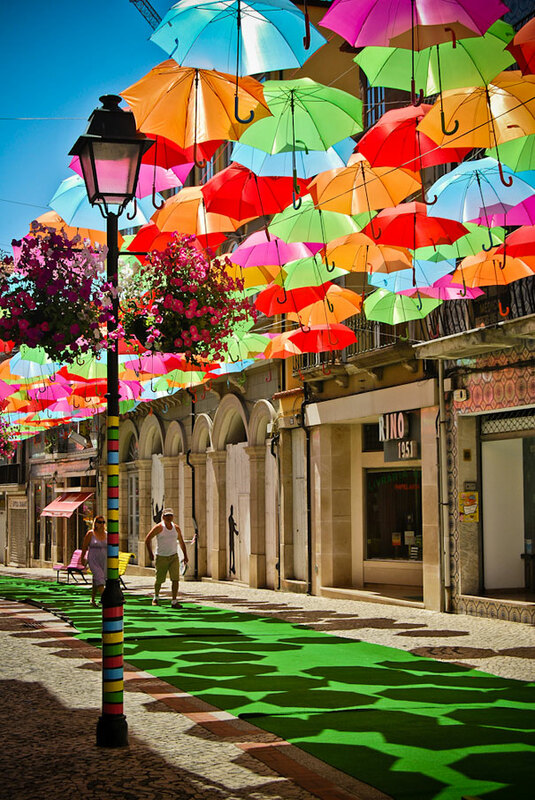 The installation of hundreds colorful umbrellas was recently spotted in Agueda, Portugal by photographers Patricia Almeida and Diana Tavares. 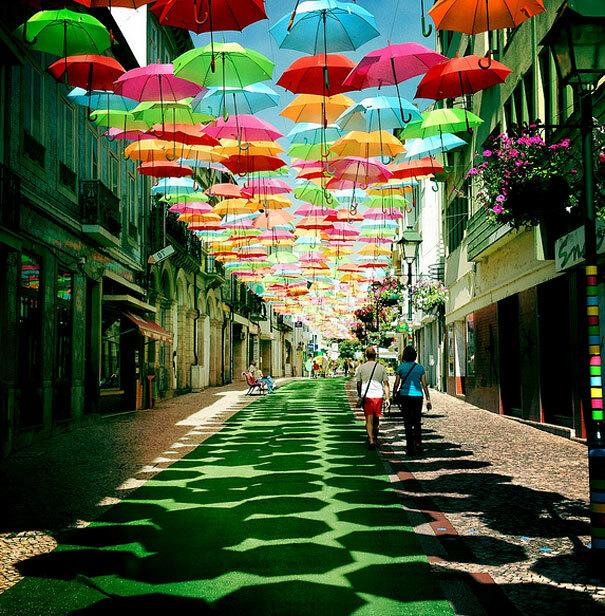 They float over the heads of pedestrians giving a nice shade and something gorgeous to look. 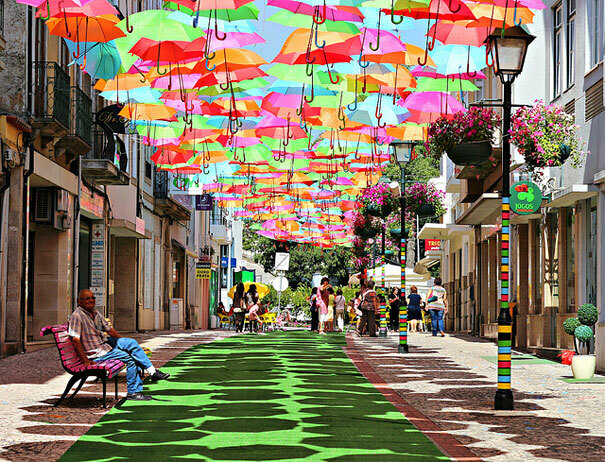 The umbrellas look like they’re magically floating in mid-air, making people walking on the street feel that they are out of a fairy tale. 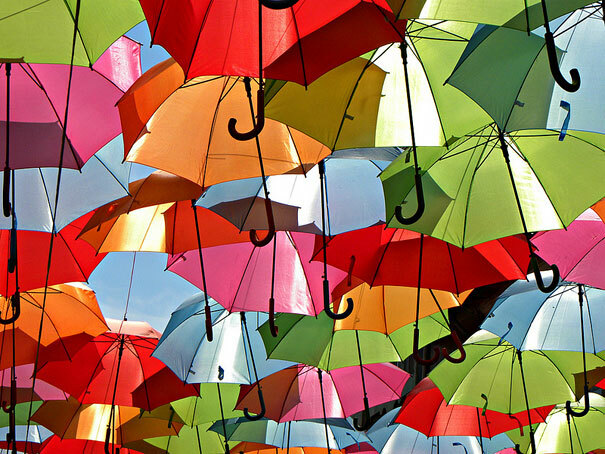 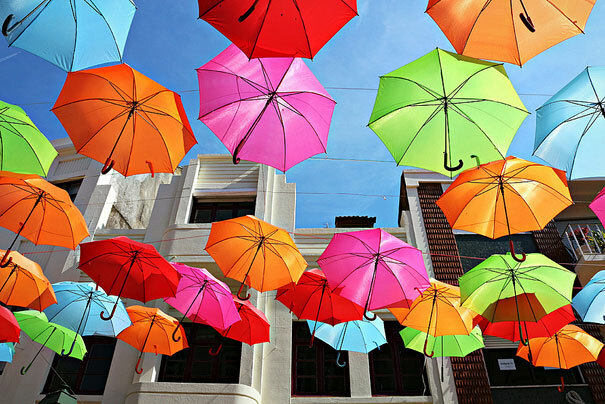 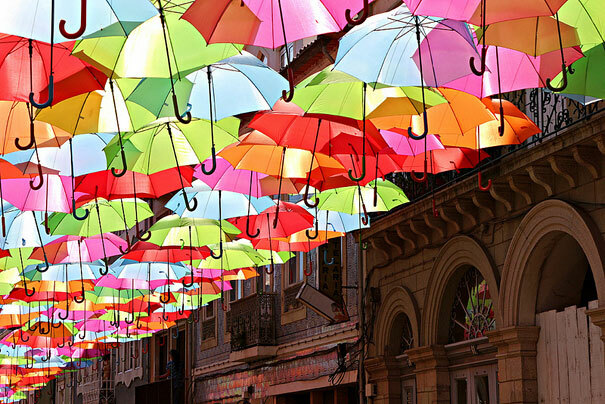 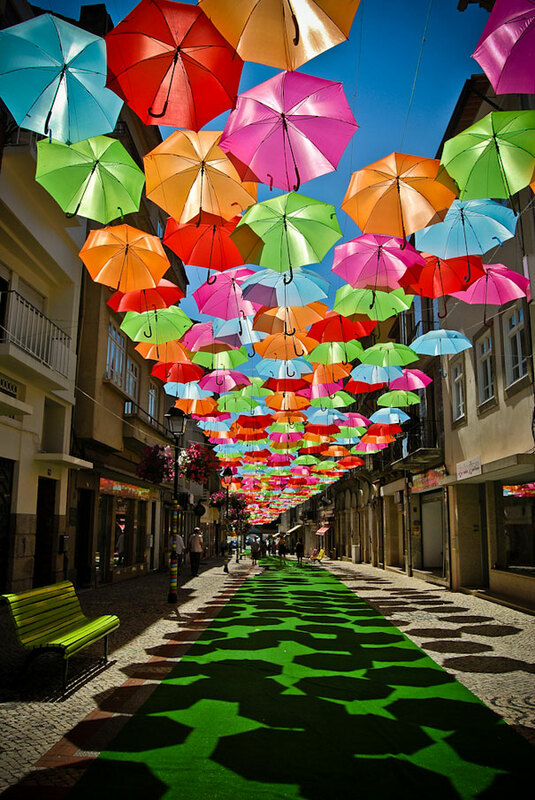 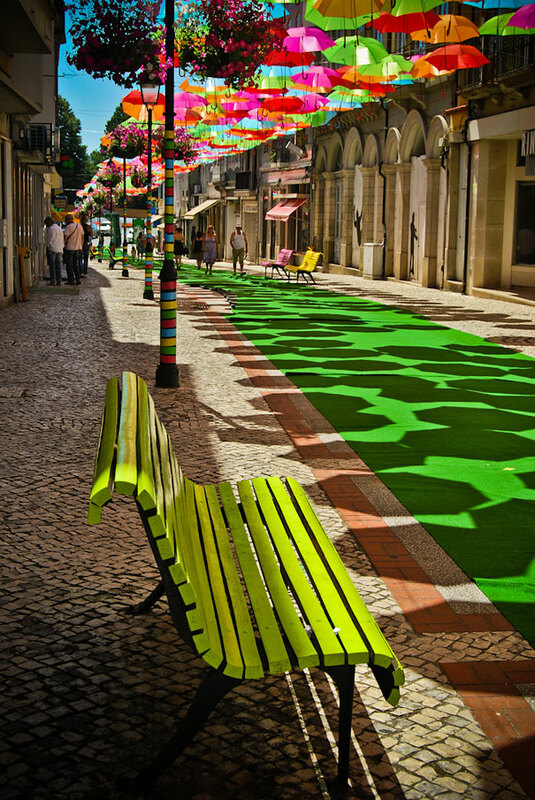 The floating umbrella installation in Agueda city is a great idea for public street art and a good cultural example for other world countries.